When I was about nine years old, I got to choose my wallpaper in our new suburban home. I chose a pattern made up of repeated horses. It was mostly brown in colour and combined with my new tan carpeting, it made for a very brown room. I insisted on a "horse' bedspread to complete the look. Over the years I had collected china horses, and I recall turning my bedside cubby into a "stable" for them all. My peers at the time were primarily interested in the Smurfs, or Charlie's Angels. I was smitten by horses. That summer I insisted on going to riding camp, where I got to learn to ride. I spent two summers at camp, and despite the fact that I didn't fit in well with the other girls - they were slim and all went to the same boarding school - I did fit in well with the horses. 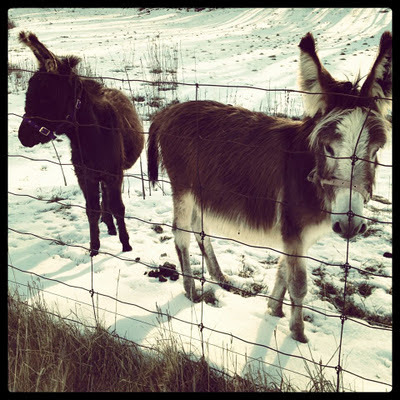 Is it any wonder that years later I am smitten by donkeys? 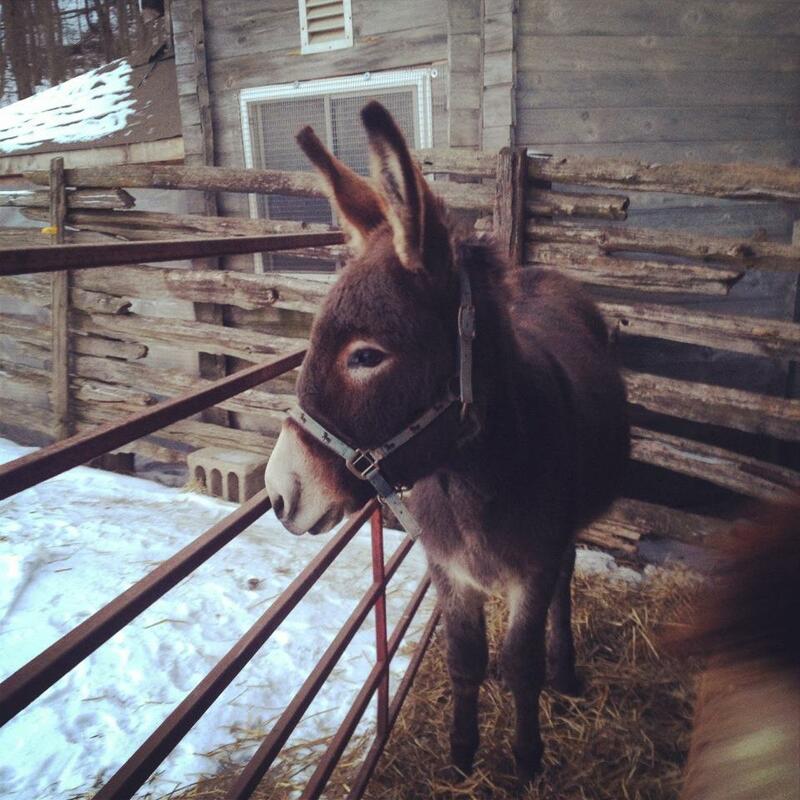 In a way, donkeys are the "poor man's horse", a beast of burden. I adore their long ears, and their intelligent eyes. Today as I stood in the equestrian store, I felt much like I used to at horse camp. The misfit - who didn't quite fit in. The sales girl asked if I required help, and I explained I was looking for vitamin supplements for an overweight donkey. She sort of smiled a polite smile, and pointed me in the right direction. As I wandered the aisle I listened to her giggling with the other salesgirls - wondering if she was explaining that I was a donkey lady. It's not that I don't adore horses, I do. It's just that donkeys are something truly special. They have a way of creeping into your heart with their fuzzy faces. Perhaps, they are the ancestor of the great unicorn. After all, on a sunny day it's easy to imagine those long ears melding into one. 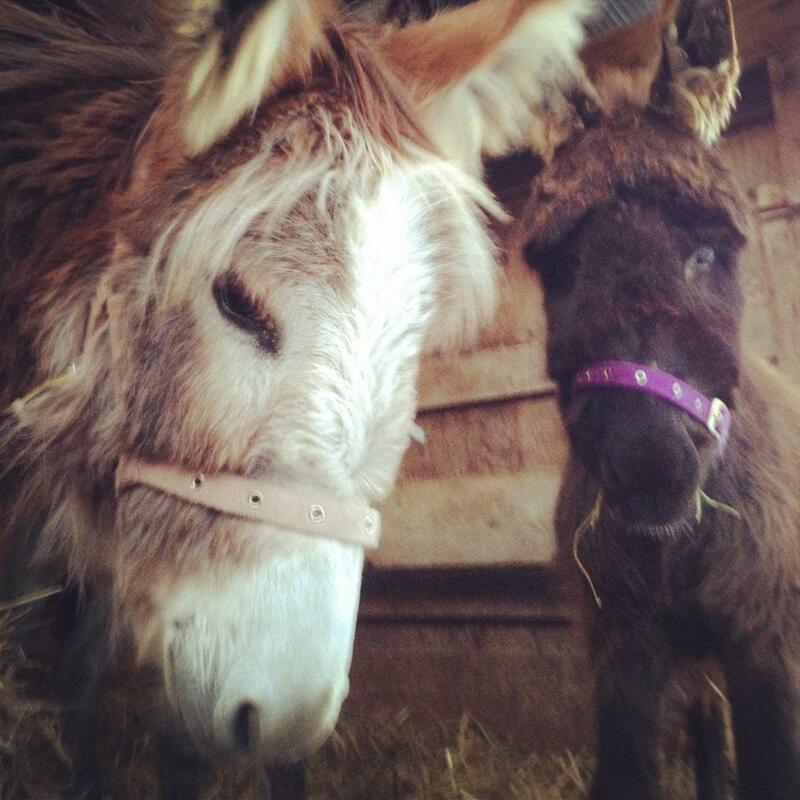 Who couldn't love a donkey? Growing up in england we would ride donkey's on the sands of the local seaside town during our summer holidays. I have great donkey memories!